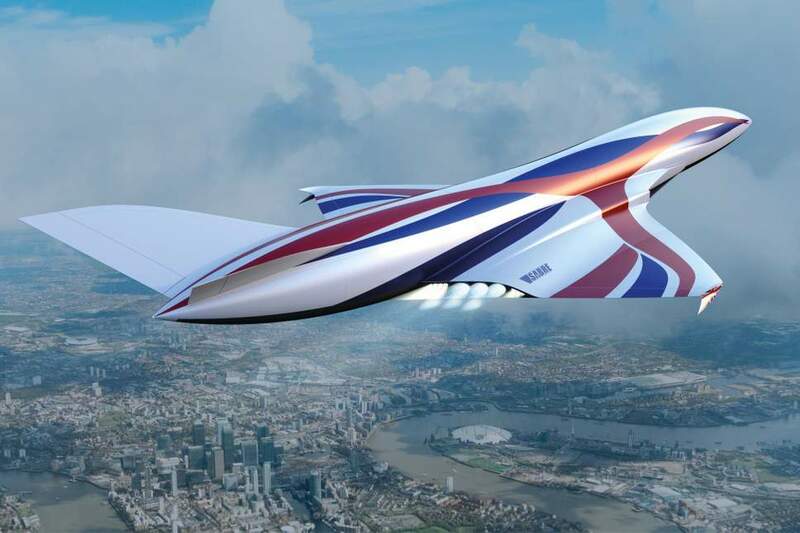 Hypersonic jet travel has become a step closer to reality after UK researchers completed a milestone test in its plan to operate an aircraft capable of flying London-New York in under an hour. Reaction Engines has tested the aircraft at simulated speeds of Mach 3.3, three times the speed of sound, using 'pre cooler' technology that allows the aircraft to travel at high speed without causing the engine to melt. The next stage will see the technology tested at Mach 5.5 (4,200mph). At top speed, it could lead to superfast transatlantic flights, with aircraft travelling at up to Mach 25, or 25 times the speed of sound. That is the equivalent of flying London-New York in under an hour. Reaction Engines, based in Oxfordshire, built a testing facility on the ground in Colorado and used a General Electric J79 turbojet engine to replicate the conditions that the vehicle will experience at hypersonic speeds. The pre-cooler is designed to lower the temperature of compressed air rushing through an engine from more than 1,000C to room temperature in one twentieth of a second, according to The Times. The new experimental engine would be called Sabre and would work like an 'air breathing rocket engine'. From take-off to Mach 5.5, the Sabre would draw oxygen from the atmosphere were it would be ignited in a rocket combustion chamber alongside stored liquid hydrogen. It would then switch to burning liquid oxygen and liquid hydrogen from on-board fuel tanks, allowing it to reach 25 times the speed of sound to enter space. Mark Thomas, the Reaction Engines chief executive, told The Times: "If you can pull it off, it's a game changer. It kicks conventional rocket engines into touch."